There's something about being able to identify a locomotive. Perhaps being able to identify something allows a person to connect with the subject. 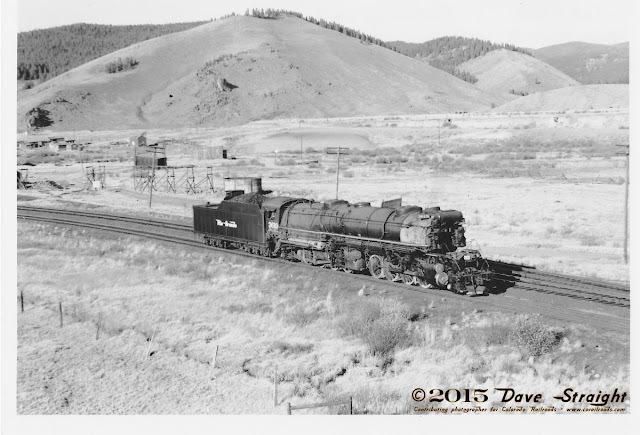 This was a big deal in the days of steam when spotting a specific engine class could tell you not only what railroad, but whether it was a brand new lighwogjtstreamliner or a thundering Pullman heavyweight behind her. 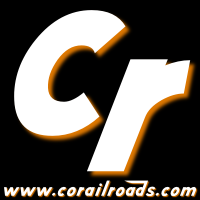 Today, identifying diesel locomotives in main line service isn't always simple matter. On one hand, when I first started trying to figure out the make and model out on the Moffat Route and elsewhere, there were EMD locomotives and GE locomotives. I quickly figured out a fast rule of thumb: The GE's always seemed to have an exhaust on the roof, usually in the middle of the hood section. These days, the exhaust is even easier to spot. I just look for the fluted aluminum stack sticking up about a half-foot above everything else. If it's there, it's a GE loco rather than an EMD. On the other hand, Identifying the model of a locomotive isn't as simple as a quick look. While it's relatively easy to tell the difference between a GE and an EMD locomotive, it's significantly more complex a task to determine the model. This isn't a comprehensive guide. 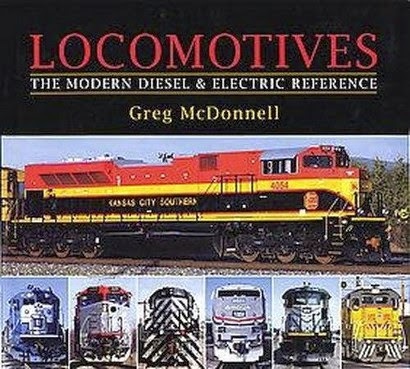 There are books like Greg McDonnell's 2008 guide that are much more researched. 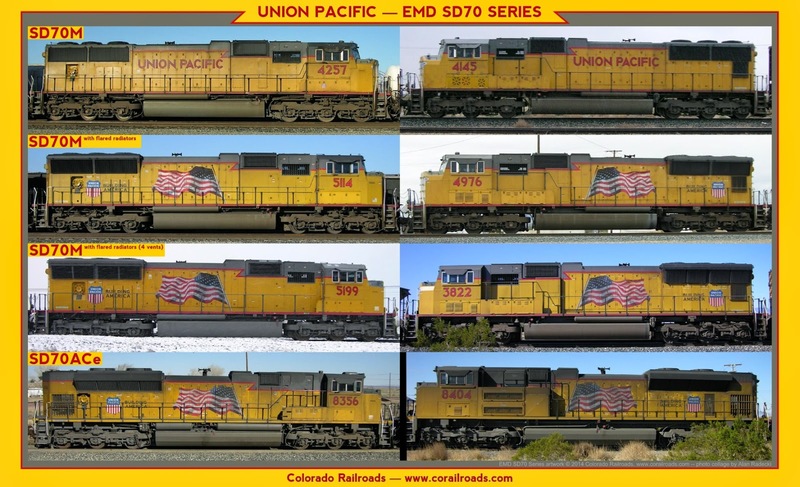 However, there is a fairly consistent means of identifying the two most popular, state-of-the-art models by EMD that are in use on the Union Pacific railroad (as well as BNSF). It involves examining the radiators. As you can see, the three different versions on top are all considered SD70Ms, and the fourth is the Tier 4 compliant SD70ACe. The 3 bottom locomotives all have flared radiators, but only the ACe's have space between the radiators and the end of the hood. As late as 2004, EMD produced the previous version of the SD70s AC version, the SD70MAC, which might better explain the disparity in suffixes of the EMD model numbers. SD stands for Special Duty because it was anticipated that this design would see only limited use as opposed to General Purpose (GP) road switchers. While GP locomotives have 4 axles, SD series have 6 axles, 3 per truck, with each axle powered independently. The notation for this by AAR standards is C-C. As far as it being Special Duty, EMD no longer produces any of the GP series. 70 indicates the place in the series. As a rule, EMD numbered SD series on the 5s, but skipping 55 and 65. Since SD70, EMD filled SD75 and then SD80 and SD90 series in short succession, but the latter 2 were non-starters with design shortfalls. The SD70, like the SD40, has built a reputation for reliability. M was applied as a suffix applied to comfort or safety cabs when they were the option and not standard. When the SD70M was introduced, the standard cab was the short hood, low nose design from the early days of EMD locomotives. Today, the situation is reversed, with any company that wants one to specify the Spartan cab. So far, the Spartan has but few takers. AC Initially, all diesel electrics functioned using Direct Current (DC) produced by a prime mover as two phase AC and then rectified to DC. Today's AC units change that DC electricity to three-phase AC. This solves some problems that have dogged DC diesel-electrics for years.  e eco-system friendly, specifically "EPA Tier-3 emissions certified" as EMD says on their site.